Kundalini Yoga is a fabulous way to relieve stress naturally in your shoulders, neck, and spine. The full length video guides you through a complete Kundalini Yoga class led by Dr. Anne Taylor. If you’re new to Kundalini Yoga, this is a great opportunity to sample a class to see if it is a good fit for you. The description below is somewhat expanded from the video class for people who are new to Kundalini Yoga or those who want to know a little more. Allow the yoga to meet you where you are. If you need to modify the postures, or shorten the length, please do so. Most of the time your eyes will be closed during the class. Feel free to put on some meditative music in the background. This class includes the following segments below. The pranayam (breath work) featured in this class works to cleanse the Ida (left nostril/moon energy) and the Pingala (right nostril/sun energy) nadis. Nadis are pathways that carry subtle energies of the body and help to purify and facilitate the flow of energy. This is a great kriya for people who carry tension and stress in their shoulders. It not only helps alleviate stress it also helps break up calcium deposits. 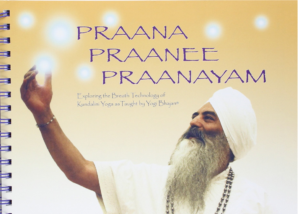 This pranayam can be found on page 114 in Praana, Praanee, Praanayam: Exploring the Breath Technology of Kundalini Yoga as Taught by Yogi Bhajan. Age is measured by the flexibility of the spine. Stress and tension causes us to slough and constrict ourselves. This kriya systematically stimulates all 26 vertebrae with a burst of energy. This kriya promotes mental clarity and increases the circulation of the spinal fluid. Excellent kriya before meditation. Stress, anxiety, and depression has a negative impact on our glandular system as stress hormones flood our bodies. This is a potent pranayam meditation to rejuvenate the glandular system and is considered a medical meditation, as taught by Yogi Bhajan. Practice and perfect this meditation and you will appreciate the joy of meditation and the breath. Recorded 11-11-2018 at the Heart Prana Yoga Studio on Camano Island, Washington with Anne Ruitberg Taylor, Ph.D. (Harkirat Kaur). 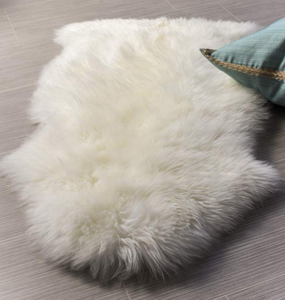 Kundalini yogis typically use natural sheep skin mats to practice on. Whereas rubber mats cut you off from the earth’s electromagnetic field, the sheep skin actually amplifies your aura (electromagnetic field). It’s also cozy and feels nurturing. 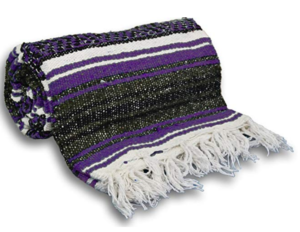 A basic yoga blanket is good to have on hand that can be used in place of a sheep skin mat, can be used to support you in poses (folded), or can be placed over you during deep relaxation. Here’s one made with natural cotton. Caution/Disclaimer: Always check with your healthcare provider before beginning any new exercise regimes. As always, listen to your body and stop if you become dizzy or lightheaded. If you are also interested in learning how to blog about your passion as your vocation, check out the resource Wealthy Affiliate. I have found this resource to be highly ethical and the training is outstanding. Welcome to How To Relieve Stress Naturally, a platform to learn how to relieve stress naturally. I’m Dr. Anne Taylor and it’s my pleasure to share tools and technologies to relieve stress naturally.